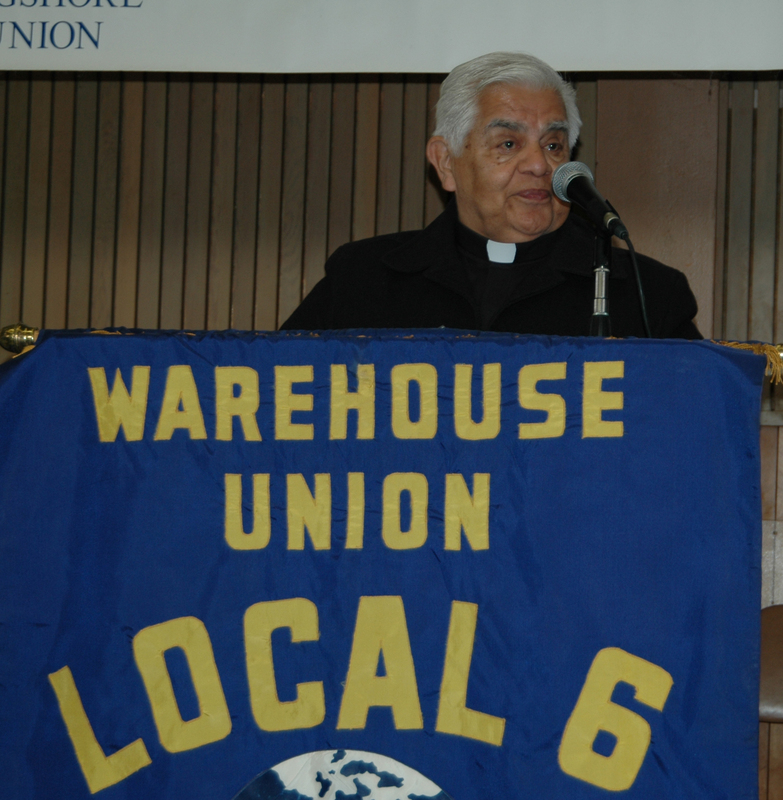 Lively debate and discussion were the mark of the 66th Annual Convention of the Warehouse Union Local 6. A big focus was the coming Master Contract negotiations, and how to get ourselves ready to fight for a good contract. Now, it’s time to get the Master Contract process going. In March 17th we will be having a Master Contract Proposals Meeting at 99 Hegenberger in Oakland. Retired Monsignor Antonio Valdivia from the Oakland Diocese offering the opening prayer at the Convention. He also talked about his father, a member of Local 6 that participated in the early struggles at C&H Sugar.